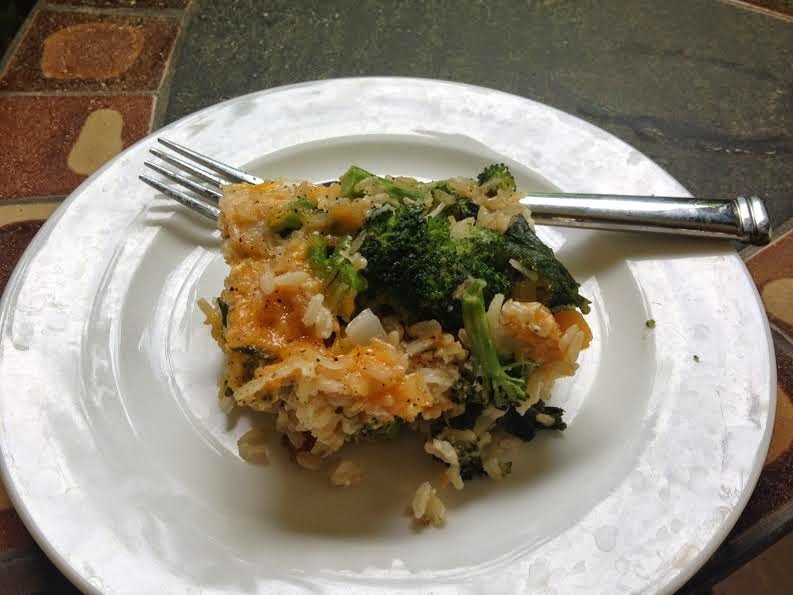 Cheesy broccoli is one of those favorite foods from childhood; that, as delicious as it is, may not offer the best nutrition. Even cheesy broccoli available in the freezer aisle of your local grocery store more often than not has added sugar and msg. 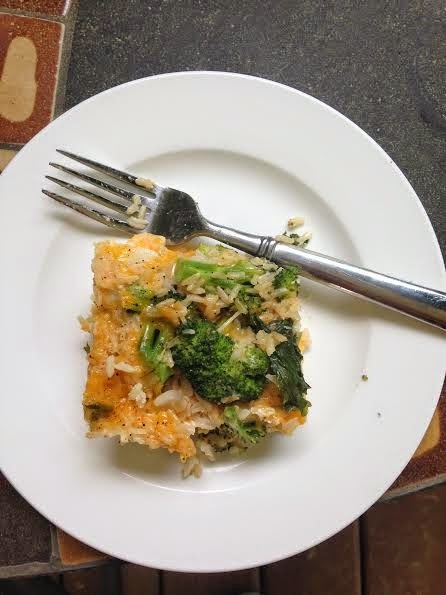 With that in mind, I whipped up this cheesy broccoli casserole that has kale and whole grains to bump up the nutritional content, without sacrificing all that cheesy goodness. Also, to bump up the protein content, you could swap the rice for quinoa or even add in cooked chicken or turkey. Or, for those of you with dietary restrictions, feel free to swap out ingredients. Vegans can swap the cheese,milk, and yogurt for vegan options, usually available at places like Trader Joe's or Whole Foods. Make it your own, and enjoy!